Read more about our recent news – we stay constantly busy in support of deaf children in Myanmar. The Mandalay School for the Deaf Charity provides financial and practical support for deaf and hearing-impaired children in Myanmar (formerly Burma). 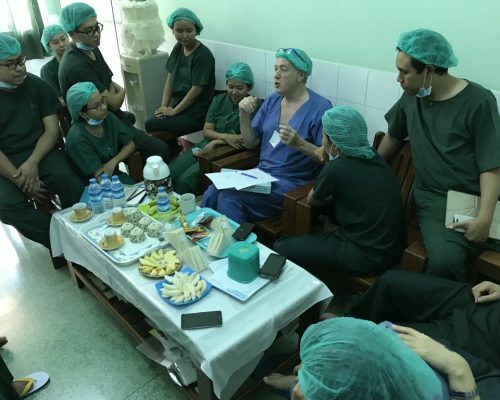 We work primarily in partnership with two schools in Mandalay and Yangon to provide equipment, training, medical staff and volunteers. 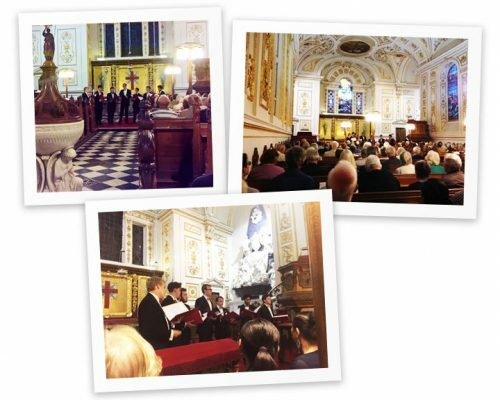 Like most charities we rely on donations to provide financial support for our work. Training a doctor or a specialist Teacher of the Deaf can cost many thousands of pounds and we are so grateful to the many UK audiologists, doctors, teachers and other volunteers who provide their time free of charge to help support us. The aim of Mandalay School for the Deaf Charity is to raise the standard of education and health of deaf children throughout Myanmar. An equal partnership has been established between those working for the benefit of deaf children in both Myanmar and the United Kingdom. 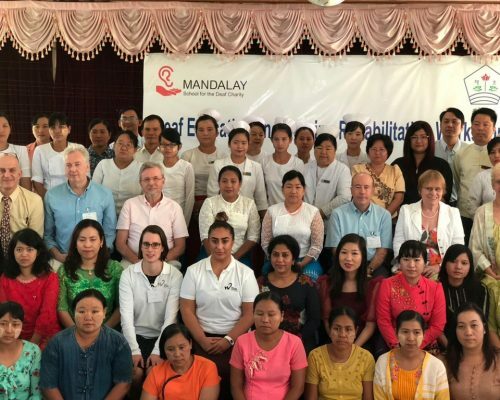 Myanmar Doctors, Audiologists and Teachers of the Deaf come to the UK to share their experiences of helping deaf children reach their full potential. 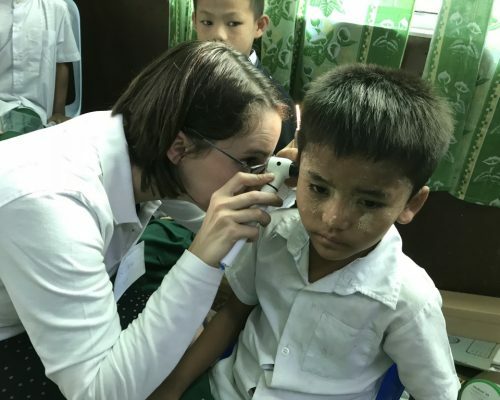 ENT doctors, audiologists and teachers of the deaf from the UK travel to Myanmar to carry out hearing tests, where possible give hearing aids and carry out operations on deaf children. In addition, they help with the training of Myanmar colleagues.